Now that you have a website and a business that you are proud of are you ready to start instantly attracting more customers and clients? Unlike other advertising platforms, Google AdWords has the power to start working and delivering new customers to your site right away. That’s why, when it comes to paid search ad spend, Google dominates with a massive 30%+ of the total worldwide market. As a small business owner, the main thing you want is more customers’ coming through your doors. We realize that online Marketing can be overwhelming, but it’s something companies cannot ignore today. No doubt you’ve tried Social Media, Search Engine Optimization, Video Marketing, and many other marketing avenues. Or maybe you’re like millions of companies who have yet to tap into the power of online marketing. All of these methods are great, but they can take some time to start getting results. AdWords, on the other hand, can provide immediate results if it’s done correctly. Otherwise, you risk losing money along the way, which puts you even more behind the curve. If you’re new to AdWords, or been thinking about using it, it can appear to be quite daunting at first. There’s a lot that goes into setting up good campaigns that can help keep your business afloat. However, first, you need to know what this platform is and why it’s so beneficial to businesses across the globe. AdWords is Google’s very own advertising service, designed to display paid ads not only within its renowned search engine, but also within its entire advertising network. Allowing you to create a text ad focusing on a specific keyword or phrase relating to your business, the search engine then displays it whenever a user carries out a related search. For example, an ad for a pet store in Leeds, West Yorkshire, might focus on “Leeds pet supplies”. Whenever a user searches for Leeds pet supplies, your ad will show up as a sponsored link. The great thing about these ads? You only pay if a user clicks on the link within your ad, rather than paying to have it displayed. 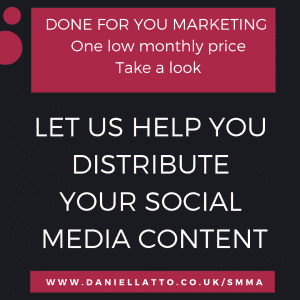 This makes it a very cost-effective solution, further enhanced by the fact you can also set your own budget. When your potential customers are looking for a local product, service, or business, they’re likely going to search for it on Google. They are looking for YOU and AdWords will help them CONNECT with you. For a small business, Google AdWords can be a hugely successful method of driving traffic, marketing your product or service, and ultimately providing an increase in sales and revenue. This proves just how much consumers take to the web to find information these days. Therefore, your business should use as many digital means as possible to connect with this massive audience. Localization – It gives you the ability to target people in a specific location AND can even show your location to users. This is perfect for businesses that need to target prospects in a specific geographic area. Highly Targeted – In addition to localization, you can create different types of targeting for your ads, including mobile targeting, language targeting, time targeting, remarketing, and more. Better Website Visibility & Traffic – While organic search engine optimization (SEO) tends to be the “slower” way to get a website to rank higher in the search engine results, AdWords can give your site more attention much faster. So it can help you meet short-term goals when it comes to getting more website visitors, traffic, and conversions (as long as your site is properly ready to convert). 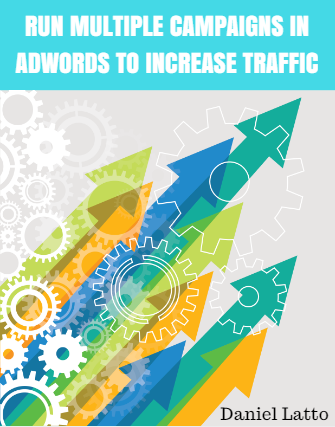 Its Cost Effective – Contrary to popular believe, AdWords is not expensive when done effectively. You only pay when an interested person clicks on your ads, so as long as your ads are targeted properly, you will see an impressive return on your investment (ROI). You Control Your Budget – You can spend as little or as much as you want on your campaigns, allowing you to always work within your budget. A larger budget will yield better results, but setting it up will be time intensive. However, once everything has been set up you can run efficient campaigns in about an hour per week or less. It’s Flexible – You can start, stop, pause, and test your campaigns at any time within AdWords, so it is extremely flexible. For instance, if you want to try different search terms, just pause your campaign and re-start it whenever you want with your new keyword phrases. Run Multiple Campaigns – If you have different products, services, or marketing objectives, you can run a lot of different ad campaigns at the same time – you are not limited to just one. This allows you to fine-tune your targeting, perform in-depth testing, and really connect with those who are looking for what you have to offer. Easily Measure Results – With AdWords, you can measure every aspect of your campaign, including number of clicks, number of impressions, click through rates, conversion rates and more. This is unheard of with traditional advertising methods, such as newspaper ads, TV ads, and others. Competitive Advantage – Running AdWords campaigns give you the advantage over your competitors, most of which have not even tapped into this profitable marketing technique. Your business will show up high on the search results pages, which means you will get more clicks. 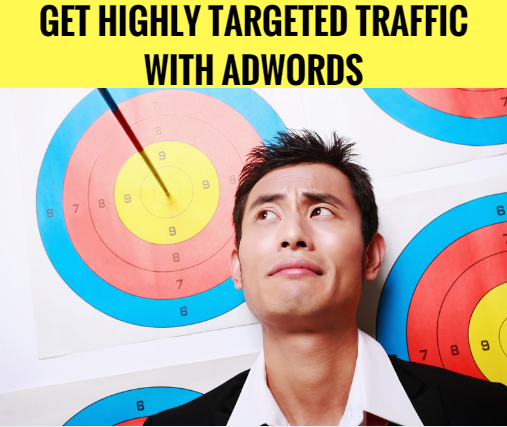 Now that we have whetted your appetite about Adwords, you’re likely feeling a little overwhelmed. It’s exciting, but a lot to take in. There are a lot of mistakes you can make along the way, but Google AdWords can be a really powerful marketing tool. Besides, you don’t have to do it alone. We are experts in AdWords and can manage your campaigns for you. By following our advice or letting us run your campaigns for you will guarantee your ads success. We’re committed to providing our customers with top-quality services, meaning we always answer your questions, reply to phone calls/emails, and proactively reach out to you when we need to discuss any urgent issues. If you’re ready to have a team of professionals handle AdWords for you, contact us today at for your free, no-obligation consultation.